Grief is not a topic out of popularity, but out of necessity. We don’t know when a friend, family member, spouse, or acquaintance is going to pass away. The Alphabet Of Grace is a small little book packed with lots of wisdom. 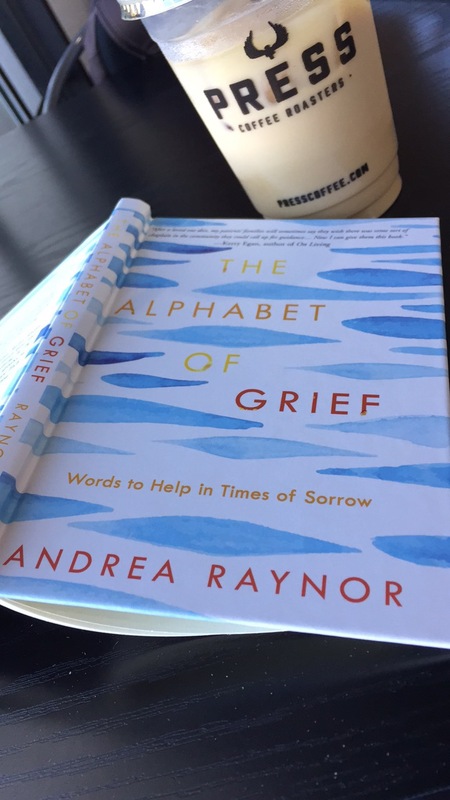 Chaplain Andrea Raynor brings death and grief to our door in an easy to understand Guide. Her guide of sorts is broken down via the alphabet. Each letter stands for a topic having to do with grief and death. At the end of each short chapter is a meditation and an affirmation. I have had family members pass away and close friends. Death is never easy to deal with. I still miss my grandparents and my one best friend, but I know they are now not in pain. Personally I don’t find comfort in going to their graves. Honestly cemeteries creep me out. One way I like to remember them is by going to a fave place they liked to eat, or enjoy a favorite pastime they had like watching baseball, or reading a book. We all deal with grief in different ways. I’m so glad I requested to review this book from Blogging For Books. This book is not preachy, though it is consider Christian. It comes across like a warm blanket on a winter night that keeps you warm and feeling cozy. It’s comforting and yet educational at the same time. I got this book for free in exchange for my review from Blogging For Books. I highly recommend this title for anyone dealing with someone in the process of dying or have passed on. I wish I’d had this book back when my grandparents passed. It would have helped me get through a lot. This is a wonderful post, thank you for sharing.